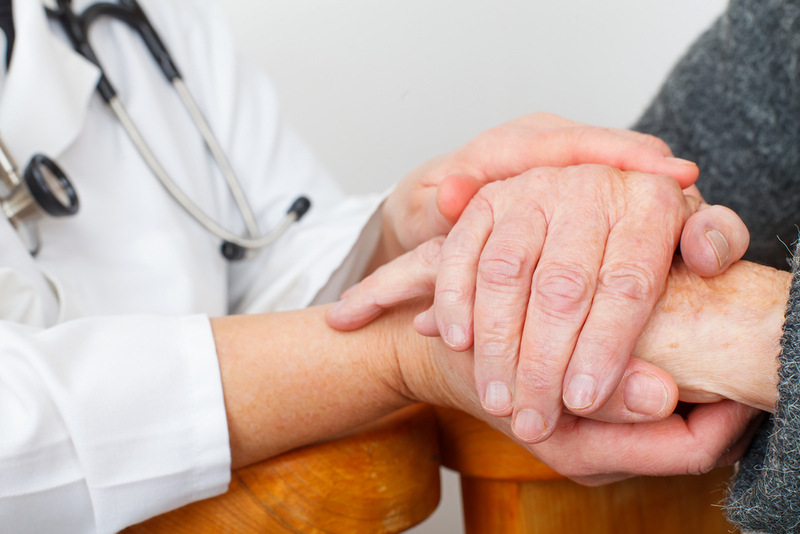 One of the hallmark feature of Parkinson’s disease (PD) is a tremor that is present at rest and usually start on one side, typically in the arm but can be seen also as a starting in the leg. 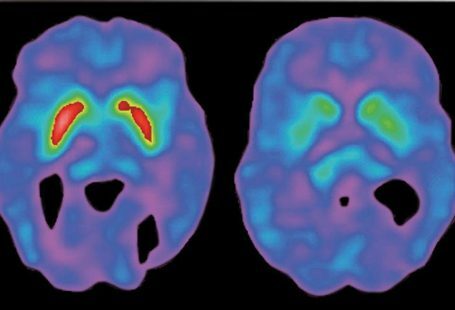 This PD tremor is very characteristic and can be separated from other tremors, the most common being essential tremor or benign familial tremor. 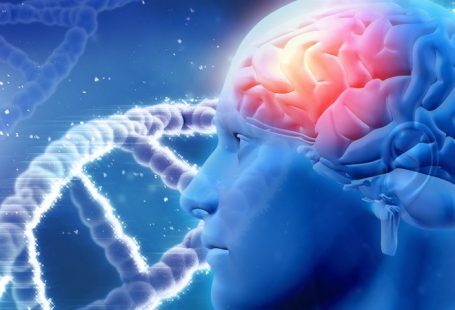 It is a common mistake by most physicians especially primary care physicians to diagnose patients with the new onset tremor as essential tremor (ET) even when the tremor clearly is a Parkinsonian tremor. 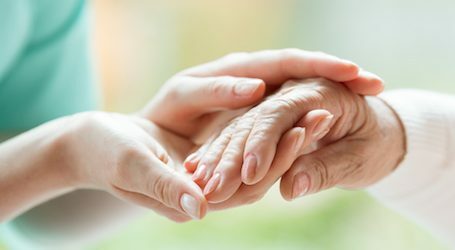 The ability to separate a Parkinson’s tremor from essential tremor needs to be learned with training that may be achieved only after a full fellowship in Movement Disorders to be able to pick them apart. 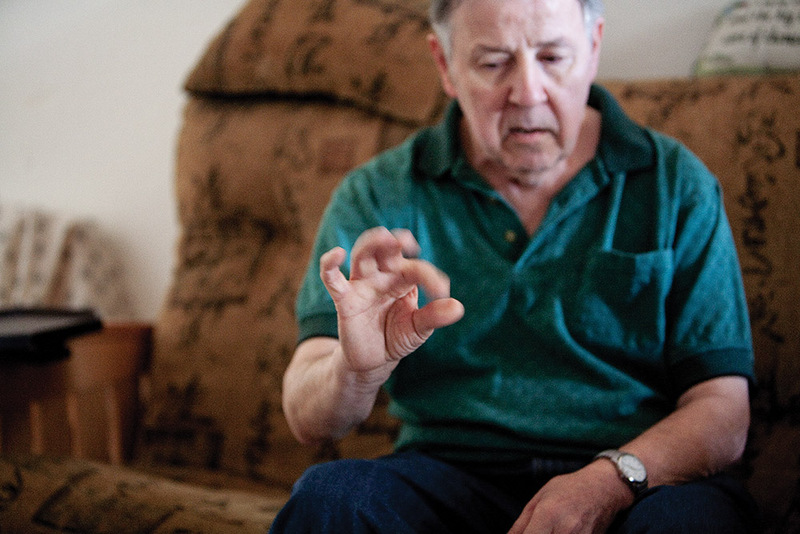 There are many other causes of tremors such as this Dystonic tremor, Rubral tremor, Medication-Induced tremor etc. which makes diagnosing a PD based on the new onset tremor very hard and thus easy to be missed. 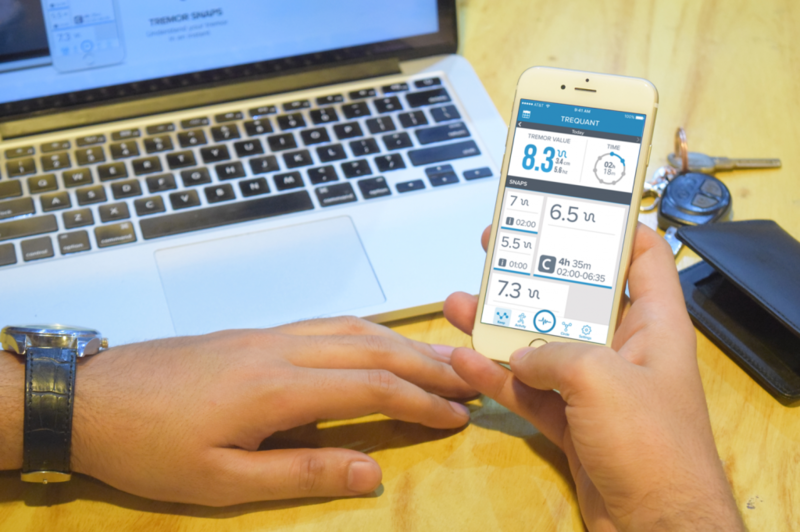 With development of wearable devices or smart watches there is an interest to see if they can pick up the tremor and other features of PD. We looked at use of applications or apps in a smartphone such as iPhone to see if those are good enough to pick off tremor at bedside. For this project we studied Orthostatic tremor as that tremor is particularly hard to diagnose and is extremely dependent on an accurate analysis requiring surface electromyography or muscle recording. 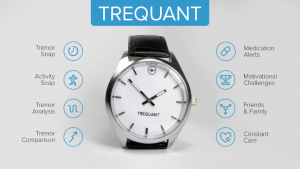 In this project we evaluated 24 confirmed orthostatic tremor patients and 15 age matched controls, using two different smartphone application called Lift pulse (by Lift Labs now owned by Google) and iSeismometer (by object graph LLC) both of them available for free from iTunes app at that time. 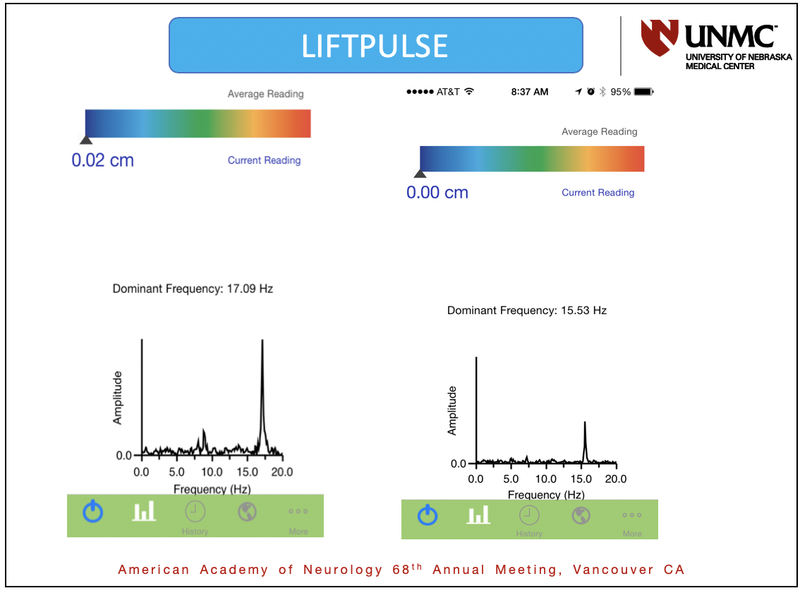 (Off note the Lift Pulse was made by liftlabs which also make the tremor spoon to reduce the effect of tremor on eating with tremor cancellation due to a specially designed motor and a sensor and also off note that both of these applications are not available on the iTunes store anymore and are not compatible with the current iOS version). 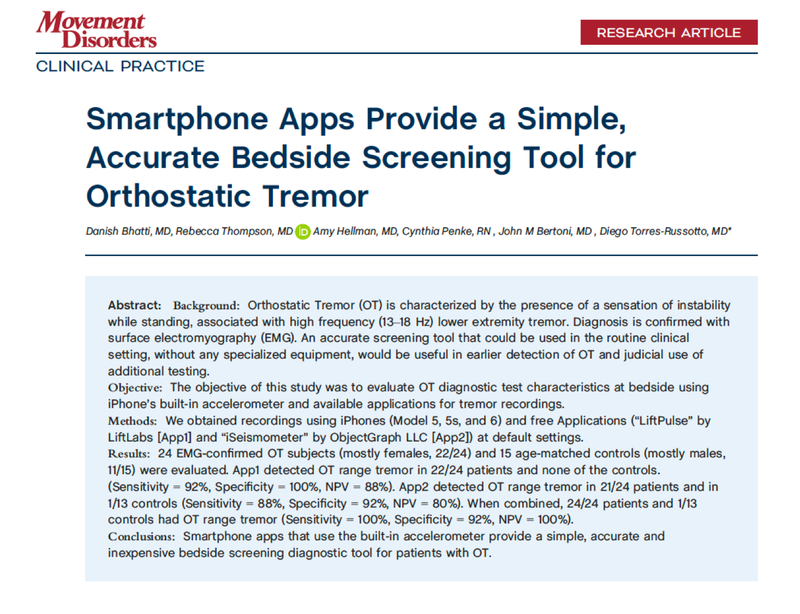 We found that the App1 detected OT tremor in 22/24 patients and App2 detected tremor in 21/24 patients. 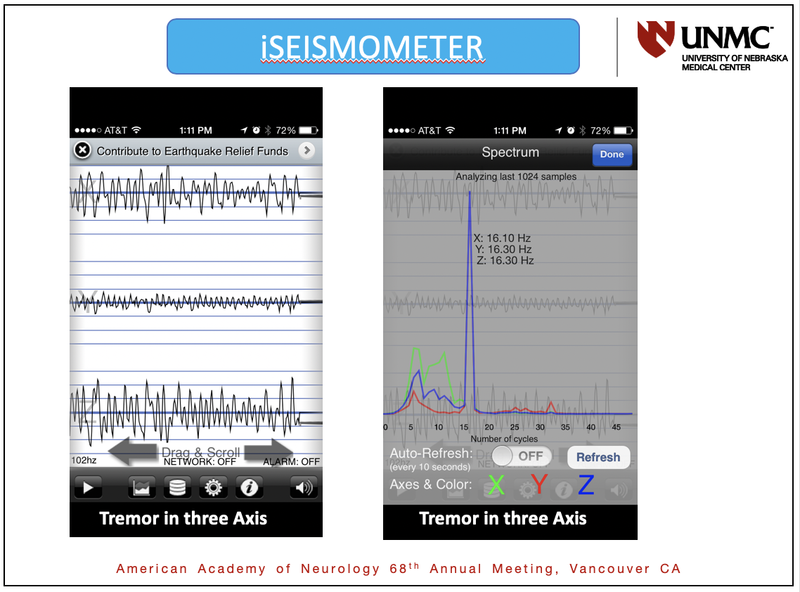 When we combine both applications together, all 24 patients had tremor on at least one of the two apps but most of the time on both apps giving a sensitivity of 100%. 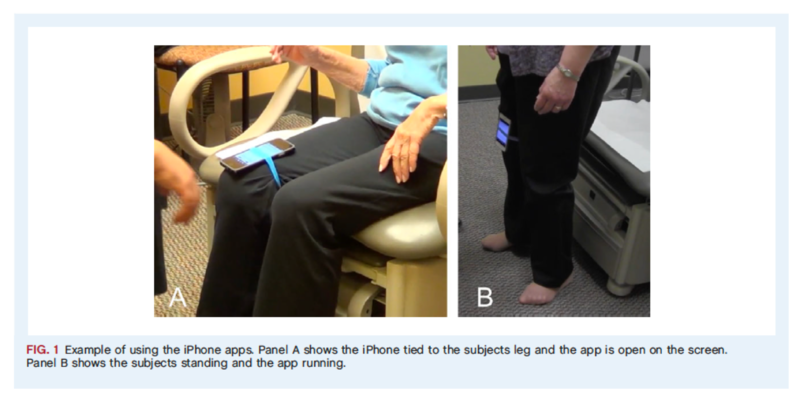 This led us to conclude that smartphone applications either on the phone or in wearable watches can be used in a reasonable way to screen for rare tremors that are hard to diagnose such as orthostatic tremor. 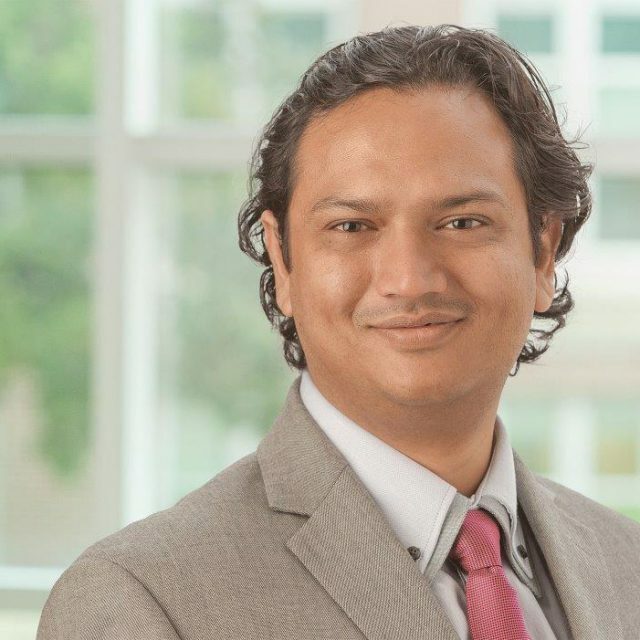 The movement disorder team at the University of Nebraska Medical Center also partnered with the electrical engineering student in Pakistan to look at developing a wearable watch that can be paired up with a smartphone to pick up tremor and see if it can pick up tremor frequency reliably which will be useful for making a diagnosis and also tremor amplitude which could be used for looking at response to treatment. The idea was very successful and the team won many awards internationally and many accolades. However, the project was eventually given up as keeping up with updates on the hardware was an unnecessary burden and very reliable hardware is already available on the market such as Apple watch. 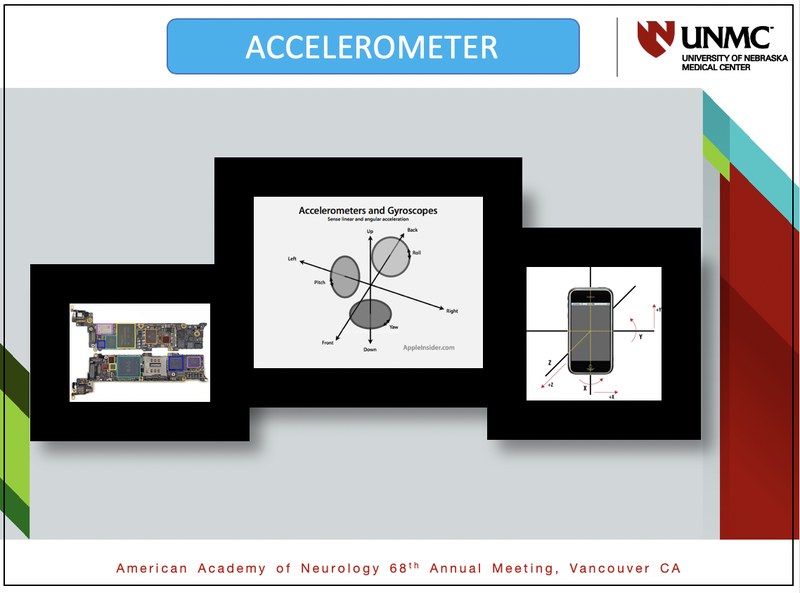 The next plan is to develop a customized software or application for an Apple Watch that could potentially use built-in sensors to pick up the tremor reliably and can differentiate between a Parkinson’s tremor an essential tremor thus making it a useful tool to be used at bedside by an untrained physician such as primary care physician or nurse practitioners to make or increase the reliability of a diagnosis of Parkinson’s disease and decreasing misdiagnosis.